The first look at Shadowhunters season two is closer than we think! 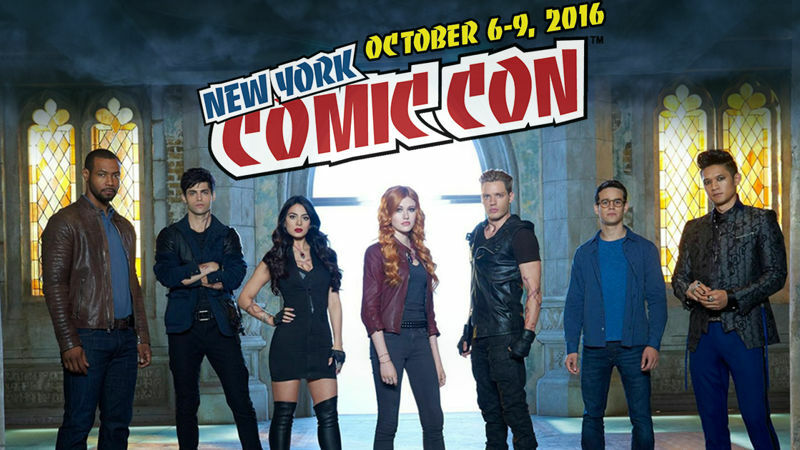 Freeform announced that an exclusive first look at Shadowhunters‘ second season will debut during the show’s New York Comic Con panel on Saturday, Oct. 8. The panel, which will be moderated by TV Line’s Andy Swift, will feature that first look at the new season, as well as Q&A with producers and cast. Those that attend the panel will receive exclusive show-branded shirts featuring quotes from the series’ couples. Freeform also revealed the first synopsis for season two, which teases Valentine coming into greater power and the testing of loyalties, bonds, and relationships. Shadowhunters season 2 will premiere in January 2017.
does anyone know where we can submit our questions if we can’t attend Comic Con? Does anyone know if Shadowhunters is getting a DVD release?